boy with minimal schooling from a lower middle-class family raised in a dockyard town in Kent goes up to London, where, after an apprenticeship as a journalist, he emerges in the 1830s as one of the country's most popular writers. The early life and rise from obscurity to celebrity of Charles Dickens? No, this is the story of the first two decades of the life of Douglas William Jerrold (3 January 1803 - 8 June 1857), the source of the above witty aphorisms. One of the founding partners of Punch, the great magazine of British humour and snide political comment Whereas Jerrold wrote for the theatre almost as a matter of course since his father, Samuel, was both an actor and manager of a theater, he became a leading London journalist because he had the right temperament to work as a member of a team and talent to publish in a burgeoning field during an era of ever-expanding literacy. In 1807, when Douglas Jerrold was just four, his father, the lessee of the little theatre of Wilsby, near Cranbrook in Kent, moved the family moved to Sheerness on the Medway in order to manage the local theatre. There, Douglas attended the local school until age 10, occasionally appearing on stage — he is reputed to have been carried on by no less a theatrical personage than future tragedian Edmund Kean, then playing Rolla in Pizarro, adapted from the German by Richard Brinsley Sheridan in 1799. When Jerrold was a schoolboy, his father's calling as a professional actor-manager or his mother's as an actor held little attraction for him; later, however, he distinguished himself by writing more than seventy plays — for the most part, melodramas and farces. At the age of ten, showing little promise as a student, the boy who had grown up in a dockyard town joined the Royal Navy in December 1813, becoming the most junior officer-in-training among the crew of the 74-gun H. M. S. Namur, a "guardship" captained by Jane Austen's brother Francis. After Napoleon's escape from Elba in 1815, Jerrold transferred as midshipman to the H. M. S. Ernest, which was ferrying British troops injured during the Battle of Waterloo. Although Jerrold's love of the sea and ships continued throughout his career as a writer, his conversations with these combat veterans, as well as the nature of their injuries (including grisly amputations), shocked the twelve-year-old, convincing him that he was not cut out for military life. Jerrold, who never saw action during his time in the navy, met another future member of the seventy-strong Dickens Circle, the future marine painter, illustrator, and theatrical set-designer Clarkson Stanfield (1793-1867), who had enlisted as an able seaman under the name Roderick Bland. Although Stanfield was some ten years his senior, and below Jerrold in rank, the pair worked together, organising amateur theatricals aboard ship. To understand the distinction between the ranks of midshipman and able seaman, one has to appreciate the issue of class in the military. As a midshipman, Jerrold was an officer cadet, a commissioned officer of the lowest rank but still of higher rank than even experienced mariners. After three years of service (that would have been, in Jerrold's case, in 1816) a midshipman could take the examination for the rank of lieutenant. 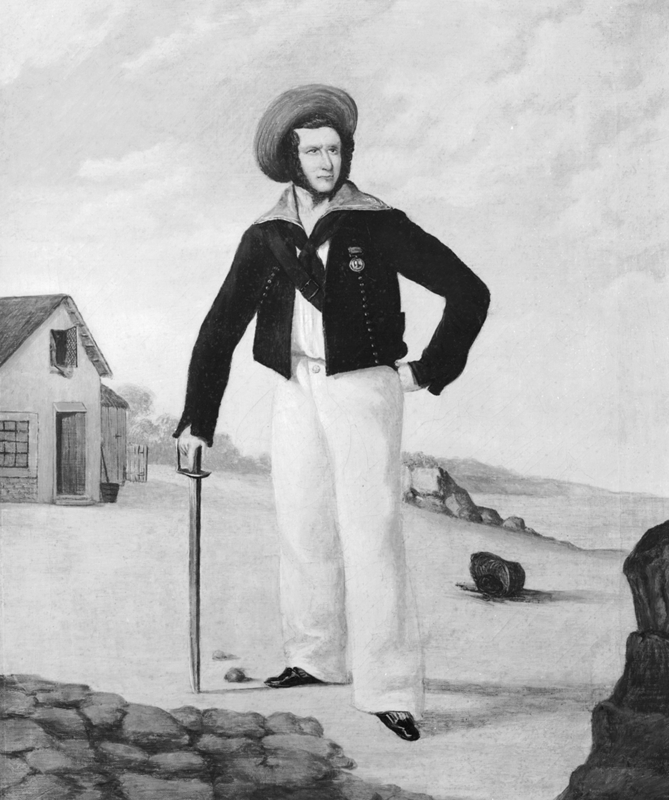 Stanfield, member of a lower social class, served as an able seaman who had been credited with three years' nautical service, and he ranked above sailors with less experience ("ordinary seamen") and "landsmen," those young men with no nautical experience who had been "impressed" or forced into service by a naval press gang. However, much had happened to both ex-sailors during the seventeen years between Waterloo and The Rent Day. On 1 January 1816, with his provincial theatrical business in tatters, Jerrold's father, Samuel, was compelled by finances to move his family up to London, Douglas having returned home from sea on 21 October 1815. He was quickly apprenticed to a printer, Mr. Sidney, in Northumberland Street, and in 1819 he became a compositor in the printing-office of the Sunday Monitor. The editor of the paper, who thought young Jerrold's theatrical notice of the initial performance of Carl Maria von Weber’s romantic opera Der Freischütz (The Marksman) showed promise, invited him to write for the paper, and thus at the age of 18 Jerrold became a journalist. In addition to starting a career in journalism, Jerrold was becoming a playwright; for both professions he made free use of his knowledge of the theatre and his experiences as a junior naval officer. On 30 April 1821, Sadler's Wells produced his comedy More Frightened than Hurt, which as The Duellists Arnold, manager of The English Opera House, had rejected three years earlier. In the fall of 1824, the "little Shakespeare in a camlet cloak," as he was called by his theatrical associates, married Mary Swan. Making a namne for himself as a prolific writer of farces, Jerrold was employed in 1825 for a few pounds a week to write various types of dramas for George Bolwell Davidge (1793-1842), the manager as well as the leading actor at The Royal Coburg (later, The Old Vic), then just a minor playhouse in Lambeth. In 1829, after a rancorous quarrel with the exacting Davidge, Jerrold left the Coburg, and went to work for Robert William Elliston (1774-1831), the manager and lessee of The Surrey, the other prominent playhouse on the south bank of the Thames. Here, Jerrold and Elliston almost immediately scored a theatrical triumph with Jerrold's melodrama Black-Ey'd Susan; or, All in the Downs, with leading man and character actor Thomas Potter Cooke in the role of William, the piece's nautical hero — it ran for over 300 nights, an extraordinary record for the time. Based in part upon Jerrold's own experience in the Royal Navy, the melodrama exhibited his strong emotional connection with the working class and his anti-authoritarian stance. It made him a household name throughout the 1830s and remained among his most popular plays. Upon his return from the French capital Jerrold finally met Dickens, then editor of Bentley's Miscellany and a rising star in London's literary firmament. However, despite this congenial meeting the two writers did not work together for another nine years. Although the young editor of Bentley's Miscellany failed to recruit Jerrold as a feature writer for the new magazine, the pair shared similarly "Radical" and reformist views. Their friendship of two decades dissolved over their opposing views on public executions. They renewed the friendship by 1855 after Jerrold pleaded for an end to the rift. Jerrold's relationship with William Makepeace Thackeray was more complex on account of the differences in their temperaments, social backgrounds, artistic beliefs, and outlooks on life. Another of Jerrold's significant literary friendships was that with the young Dickens acolyte with progressive opinions, Wilkie Collins. Despite perpetual ill-health, Jerrold was so successful as a professional writer that he became a member of the Dickens circle, rubbing shoulders with such Victorian luminaries as illustrator and cartoonist John Leech, politician, novelist, and dramatist Sir Edward G. D. Bulwer Lytton, and fellow journalist and critic John Forster, ultimately Dickens's biographer. Jerrold's formula for melodrama likely influenced Dickens's construction of The Christmas Books (1843-48). The single work that most obviously exhibits Jerrold's influence and reflects his social and political views is The Chimes: A Goblin Story of Some Bells that Rang an Old Year Out and a New Year In (16 December 1844). 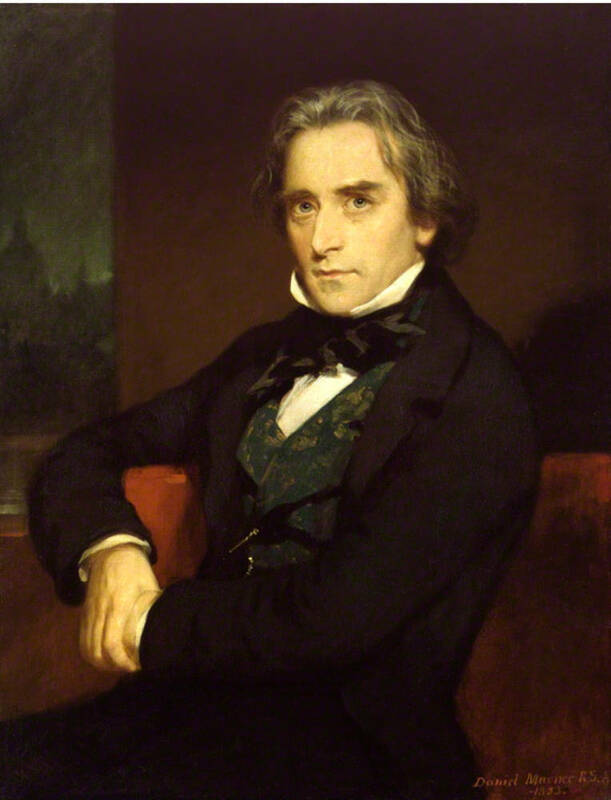 Consequently, he was one of the select few invited to Dickens's reading of the novella from the proofs at 58, Lincoln's Inn Fields during Dickens's flying visit to London from Genoa on 1 December 1844 — the others present were Forster, Laman Blanchard, Thomas Carlyle, W. J. Fox, Fred Dickens, Daniel Maclise, William Harness, and Clarkson Stanfield. The founding of Punch on 17 July 1841 is the first significant event in the history of Victorian periodicals, the second being newsagent Herbert Ingram's founding of The Illustrated London News on Saturday 14 May 1842. Although Douglas Jerrold was neither first nor second editor of Punch (those honours belong to the journalists Mark Lemon and Henry Mayhew), he was one of the founding partners and first contributors. The other principals were the printer and engraver Ebenezer Landells and the illustrator Archibald Henning, who designed the first cover. Lemon and Mayhew had conceived of the idea of a humorous weekly paper to be called Punch, and initially served as joint-editors; with the printer Landells they were equal partners in the enterprise. The magazine's name prompted an early popular joke about one of the magazine's first editors, Lemon, that "Punch is nothing without lemon." The subtitle The London Charivari paid homage to Charles Philipon's French magazine of satirical humour, Le Charivari. Whereas the ILN's circulation soon increased to 40,000 and by the end of its first year of operation was 60,000, Punch struggled financially with tepid sales until it was taken over by Bradbury and Evans and edited solely by Lemon, who meantime had been serving as Ingram's chief adviser for the ILN. The actor and ex-Royal Navy sailor T. P. Cooke (1786-1864) as William in the Surrey production of Jerrold's “Black-Ey'd Susan.” Click on image to enlarge it. Jerrold's Black-Ey'd Susan inspired a long line of marine melodramas, including the famous W. S. Gilbert and Arthur Sullivan operetta H. M. S. Pinafore. 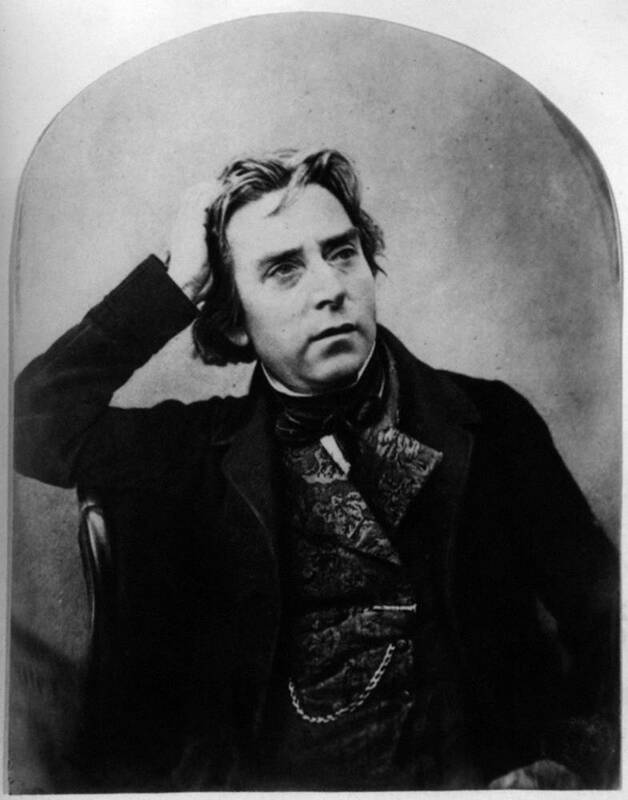 However, not nearly so well known today are Jerrold's other highly popular plays of the 1830s and 1840s, beginning in the 1820s with More Frightened than Hurt (1821), Fifteen Years of a Drunkard's Life (1828), and Law and Lions (1829), and including The Mutiny at the Nile (1830), The Housekeeper (1830), Martha Willis, the Servant-Girl (1831), The Wedding Gown (1834), The Painter of Ghent (1836), Bubbles of the Day (1842), Time Works Wonders (1845), and his final play, The Heart of Gold (1854). The Bride of Ludgate (8 December 1832) was the first of a number of his plays that were produced at Drury Lane. However, none of these matched the theatrical success of Black-Ey'd Susan (1829) with its genial comedy, touching sentiment, and common touch so appreciated by working-class audiences at such minor theatres as The Coburg and The Surrey. Jerrold's Gnatbrain in Black-Ey'd Susan offers his own version of the Jerrold formula for popular melodrama: "one broken head — then, one stony-hearted landlord — one innocent young woman — ditto, jealous [the comic woman who contrasts the heroine] — one man tolerably honest — and one somewhat damaged [the comic man]" (I, iii). The result is a play that often does not cohere, the comic business of the subplot being poorly integrated into the serious business of the main plot. Jerrold produced over seventy plays among his one-hundred-and-sixty-one published works. His second most popular and famous melodrama (after Black-Ey'd Susan) was equally proletarian in its sympathies: The Rent Day (1832), based on a well-known painting by Sir David Wilkie, R. A. Jerrold's "formula" for melodrama may be deduced from an analysis of these particular melodramas. It involved, first of all, strongly distinguished characters: the stout-hearted tar or sturdy young farmer, the vicious squire, the greedy steward, the virtuous peasant girl, and a noble but exploited peasantry. Added to these stereotypical characters was occasional music to heighten the suspense and accompany the entrances and exits of certain principals. Domestic matters intruded into both the serious main plot and the comic subplots. The setting is a country village in which poverty oppresses the honest, diligent agrarian workers who are being exploited by a negligent landlord and his ruthless agent. 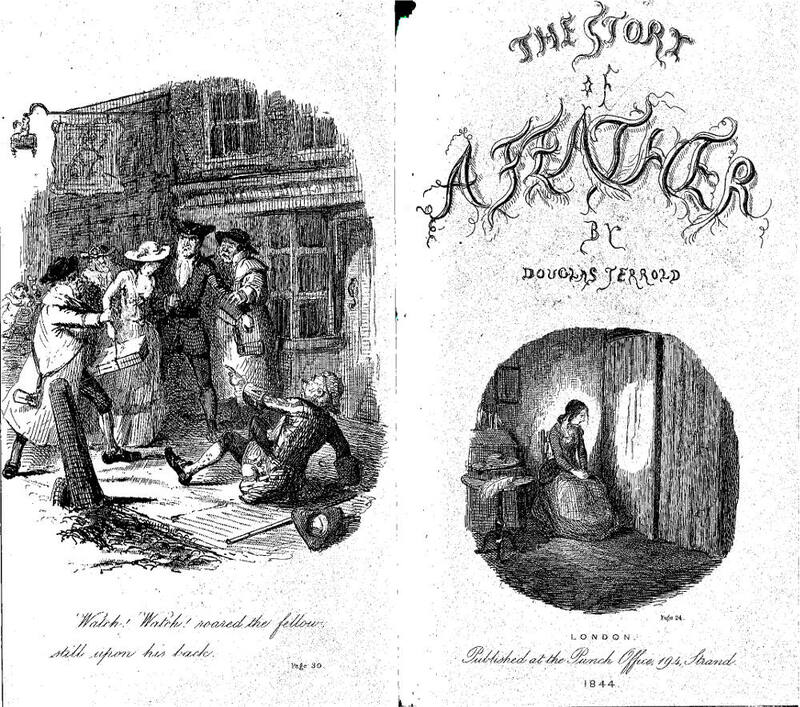 Frontispiece and Title-page of Jerrold’s Story of a Feather (1844). Click on image to enlarge it. As John Sutherland remarks in The Stanford Companion to Victorian Fiction, given Jerrold's brief formal education, "That he should in manhood have been intellectual and scholarly is one of the heroic feats of Victorian self-improvement" (332). Although his most popular fictional works — Story of a Feather (1844, with frontispiece and title-page vignette by Leech), Mrs. Caudle's Curtain Lectures (1844), The Life and Adventures of Miss Robinson Crusoe (1846) — do not reveal much scholarship, his lesser known historical works reveal his ability to research and make relevant historical figures and periods. He reached the pinnacle of his journalistic career in 1846, founding his own weekly newspaper and Douglas Jerrold's Shilling Magazine — unfortunately, neither proved financially successful. However, he landed on his journalistic sealegs as the editor of Lloyd's Weekly Magazine, earning a thousand pounds a year from 1852 until his death at age fifty-four. Under his editorship it vaulted from almost nonentity to a circulation of 182,000. He so effectively established the publication's popular appeal that it endured well into the twentieth century. Despite the overwhelming box-office successes of his melodramas, Jerrold's best loved works were his situation comedies in prose; although he employed some of traditional techniques of fiction, these do not exhibit much development of character or narrative progression. He relies on the "running gag" and the "tag-line" of contemporary theatre — Mrs. Caudle's nagging, for example, continually deprives her husband of sleep. Although he wrote a number of works of volume length, these are mostly tales and sketches. His only true novel, The History Of St. Giles And St. James, which John Leech illustrated, he intended as the principal serial for his own new monthly magazine in 1845. It is perfectly attuned to the spirit of political reform and social criticism of the mid-1840s, and as savage as Dickens's Chimes in its criticism of arbitrary authority. In the words of his 1851 preface, Jerrold designed it to show the "ignorant disregard of the social claims of the poor upon the rich, of the governed millions on the governing few" (Sutherland, The Stanford Companion to Victorian Fiction, p. 333). On 13 July 1850 he wrote in the persona of "Mrs. Amelia Mouser" about the forthcoming Great Exhibition of 1851, coining the metaphor "the palace of very crystal." From then on, the chief venue for the fair was popularly called "The Crystal Palace," constructed by his friend Joseph Paxton. Whereas Jerrold never contributed to Dickens's highly successful weekly journal in the 1850s, his son and biographer, William Blanchard Jerrold (1826-84), was a frequent contributor to Household Words. 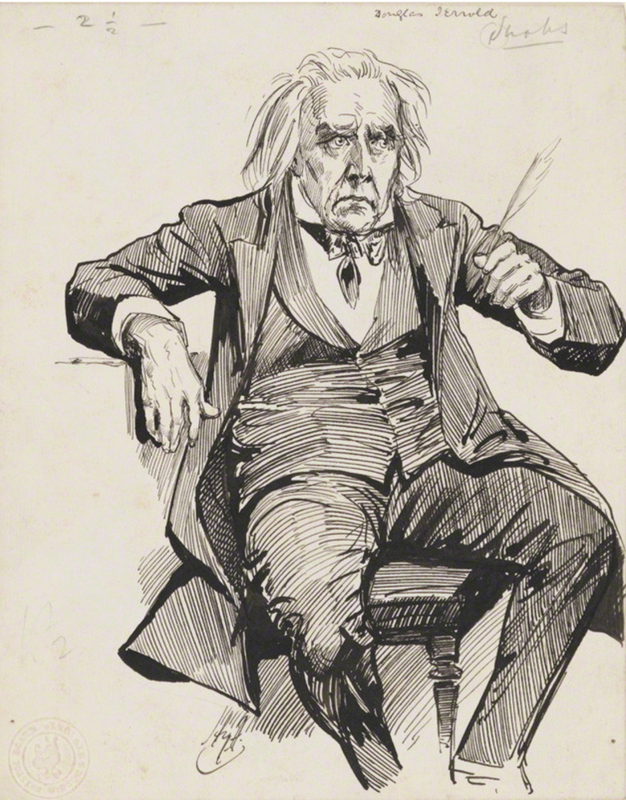 Although in 1848 Jerrold took no part in the Dickens-organised performances for the endowment of Shakespeare's house in Stratford-upon-Avon, for the Guild of Literature and Art Jerrold took the comic role of Mr. Shadowy Softhead in Bulwer-Lytton's Not so Bad as we Seem at Devonshire House in 1851, and subsequently took a number of prominent roles in the Guild's provincial tour. At this point, Dickens and Jerrold broke over the issue of capital punishment, but Jerrold made the first approach to repair the friendship at a London club, saying, "For God's sake, let us be friends again. A Life's not long enough for this." By the spring of 1857, however, even though they had re-established their friendship, the old warmth of feeling not entirely renewed. Jerrold's health had deteriorated visibly. Dickens recalled that he had been unwell for three or four days, putting it down to the smell of new paint from his study window. Jerrold was nauseous, weak and giddy, and unable to hold down any food. Dickens thought he looked extremely ill, but that, later in the evening of his visit, he seemed to have recovered somewhat. The next day he was seized with fits of vomiting and violent stomach pains, and there followed a week of much suffering with periods of remission. After Jerrold's death, likely from stomach cancer, on Monday, 15 June 1857 at 12.30 P. M. at the age of 54, a funeral featuring a number of literary and artistic luminaries took place at Norwood Cemetery. The pall bearers were​ his very dear friends — Charles Dickens, William Makepeace Thackeray, Richard Monckton Milnes (Lord Houghton), John Forster, Joseph Paxton, Mark Lemon, Charles Knight, Horace Mayhew, Hepworth Dixon, and fellow Punch writer Shirley Brooks. Dickens had learned of his friend's death from a train passenger who was reading the morning paper. Blanchard Jerrold, Jerrold's oldest son and biographer, was embarrassed when Dickens determined to organize a benefit performance of The Frozen Deep to offer financial support to his mother. The benefit performances of Jerrold's The Rent Day and Black-Ey'd Susan ran several nights with a lecture by Thackeray, day and night readings by Dickens, and then a lecture by Lord John Russell and a subscription performance of The Frozen Deep at Tavistock House — entirely stage-managed by Dickens. These performances were repeated provincially, and again with great financial success — raising close to two thousand pounds in total. 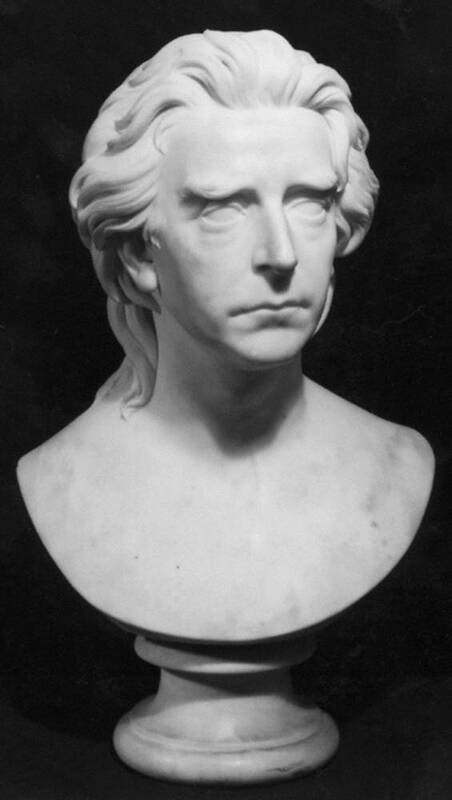 Jerrold in maturity had a striking profile, with shaggy grey hair tumbling about his forehead, as one sees in an engraving from a bust of him by Edward Hodges Baily, R. A., an image of which is the frontispiece for his biography by Blanchard Jerrold. Sir Daniel Macnee's painting of Jerrold in the National Portrait Gallery, dated 1853, shows a rather more distinguished literary figure with gold-and-green waistcoat, an aesthetic, less rugged visage, a searching gaze, pale hands and face — and a cityscape with St. Paul's Cathedral in the background. This fifty-year-old with an intellectual expression does not entirely match contemporary descriptions of Jerrold as vivacious, boyish, and clumsy. Nor does the 1853 portrait capture his indignation at political veniality and social injustice, or his radicalism and fiery impulsiveness. However, there is a certain diffidence about the sitter that is consistent with his reluctance to undertake public speaking, despite his sophistication and ready wit. In studying this portrait, one can well conceive of this middle-aged man as the founder of and participant in various London literary clubs, including "The Mulberries" in 1824, "The Museum" in 1847, "The Whittington," "Our Club" (see Willert Beale, Light of Other Days, volume one, chapter 6, and T. Sydney Cooper, My Life, volume two, chapter 32). His only literary legacy is his son's investigation of the less sophisticated and more down-to-earth aspects of the English metropolis, London: A Pilgrimage,​ with illustrations by Gustave Doré (1872). By the end of the nineteenth century, his plays were rarely staged and his novels little read. His collected Works were published in eight volumes in the years before his death, but were never re-issued. Ley, James William Thomas. Chapter 13, "Douglas Jerrold." The Dickens Circle: A Narrative of the Novelist's Friendships. New York: Dutton, 1919. Pp. 83-91.